What Should You Look For In A Brisbane Bookkeeper? Before you engage a Brisbane bookkeeper what questions should you ask before appointing them to look after sensitive and private financial information you would not even considering giving to close friends and family? At the very least you need to consider the following questions. Can they do the job and are they reliable? Obvious question really but we are surprised at the number of businesses that come to us asking us to fix problems left behind by their previous Brisbane Bookkeeper. You need to ask this question directly and do not be afraid to ask for proof that they know what they are doing. Ask for client contacts, a list of testimonials or anything else that shows you they have the knowledge and experience to do what they say they can do. Reliability is a real problem with self employed bookkeepers especially when its school holidays, sickness or vacation time. Often there is no one else who can replace them and your work gets left behind. This can cause difficulties especially when lodging your BAS or getting information to your accountant. You should ask them if they would be willing to give you a no quibble money back guarantee. Are they registered with the Tax Practitioners Board and an Institute? Anyone who undertakes bookkeeping and charges a fee for it must be registered with the Tax Practitioners Board. If they are not registered stay well away! We would go one step further and say that your Brisbane Bookkeeper should also be a member of a recognised body which has standards of professionalism and ethics. Can Your Brisbane Bookkeeper provide other Value Added Reports and Information? Make sure the firm you choose don’t just crunch the numbers! In the modern business environment information is everything. If your bookkeeping system and software is set up correctly you should be able to access all kinds of meaningful reports which will help your cashflow and should grow your business. Do they have a Clear Pricing Structure? Most Brisbane Bookkeeper firms will charge on an hourly basis. This means you do not really know what the total cost will be until it has been done. Ask to see if they are willing to fix their fees. If they are it is great for you as you will know exactly what the cost of bookkeeping is to your business. We are a Brisbane Bookkeeper firm registered with the Tax Practitioners Board and are also members of the Institute of Chartered Accountants in Australia. We know exactly what we are doing. 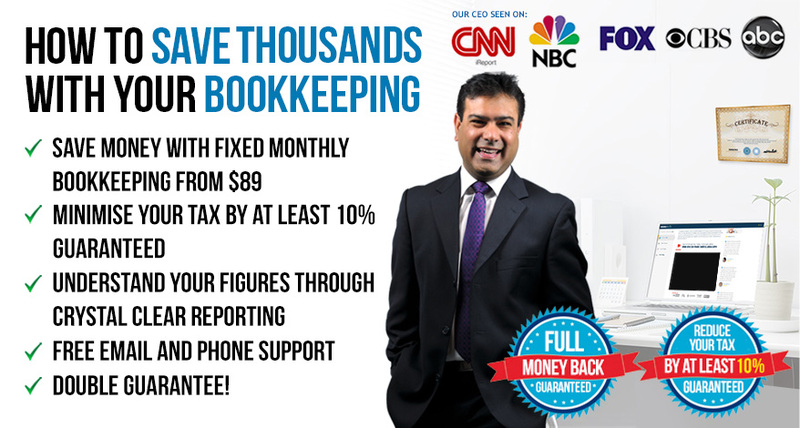 Your bookkeeping work is done and then reviewed by a Chartered Accountant before it comes out to you so you know not only that it has been done but also that it has been reviewed. As we have a number of Brisbane Bookkeepers we can ensure your work never stops and is always up to date. As long as your get your information to us on time we will guarantee that the work will be done or we will give you your money back. We will ensure no matter which plan you join we will give you at least quarterly management reports which will show you exactly how you are doing. We would also be happy to amend your reports specifically to your needs. We never charge an hourly rate but prefer to give you a fixed monthly fee. That’s Affordable Bookkeeper Brisbane! For more information about a bookkeeper Brisbane or on a Brisbane bookkeeper, read more of our articles in our blog. Bookkeeper Brisbane: reliable, efficient, and affordable.